Tired of the commute? Bring the office home with a perfectly designed log building. Working from home is no longer an executive perk but a reality for an increasing percentage of the population. 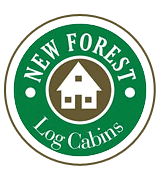 The team at New Forest Log Cabins is here to help provide you with the perfect home office building whatever your needs may be. Our Log Cabins and Home Offices are manufactured from slow grown timber that's typically over 100 years old, mature, dense, beautiful to look at and is extremely efficient as an insulating material, it will keep you warm in the winter and cool in summer. Designed with enough space for a shower, WC and Wash Hand Basin the New Forest Home Office is ideal for the "Home Worker" or as a weekend retreat and has great potential for the offspring when they return from University or just need some space of their own. If you need space to unwind or to wind up into a crescendo, this cabin will give you the room to enjoy it. The Ryan style of cabin is a trademark of New Forest Log Cabins and the great thing is that every one of these fantastic log cabins is built just for you, whatever your hobby. So if you're serious about a log cabin, look no further..! 6mtr x 4mtr with 1.5mtr verandah - 70mm square log Big or small the Ryan can be made any size your want from 4 x 3mtr to 24 x 12mtr. Supplied and built on-site by our expert craftsmen the Milford has a small WC and room for a double bed and lounge area that makes for a spacious weekend retreat, home office, auxiliary office space, or just somewhere to conduct a little smalltalk and relax. 7 mtr x 4mtr with overhang & 1.5mtr verandah and solid 70mm log. Available for viewing by appointment only at our sales office; Wyevale Garden Centre, Wimborne Rd West, Stapehill, BH21 2DN. Please call 01202 868844 to arrange for a look round and discuss your need with one of our sales team. 10mtr x 4mtr - 70mm Square Log as shown. The Magna Home Office is a Ryan design with a difference..! the office space in this log cabin is big enough to run a small empire from. The 7 .5 x 4mtr design is more than big enough for 3 people to work very confortably and whats more, it looks and feels the business. When considering a home office you will need to think about how light and airy you want it to be, how warm you need it to be in winter and how cool in summer. If you need a place to work, or just somewhere away from the hussle and bussle of the house, New Forest Log Cabins will design and build a cabin to meet your needs at a price that represents excellent value for money, backed by great service and customer satisfaction guaranteed. 6mtr x 4mtr - 70mm Split into two Rooms. This particular Ryan design of Home Offices is as the song goes, "If it's good enough for you, it's good enough for me", or something like that. Come and have a look around our Sales Office to see why we like the design so much. 8mtr x 4mtr in 70mm square logs. Every now and then we come up with a design that just works. Simple in concept, but efficient in it's use of garden space and interior design. The inspiration of many cabins to come, the Andover is up there in the award winning category. New Forest Log Cabins will design and build a cabin to meet your needs at a price that represents excellent value for money and every log cabin has an extended guarantee of complete customer satisfaction and family enjoyment built into it..! 3.9mtr x 3.9mtr with 0.8mtr overhang in solid 70mm logs.